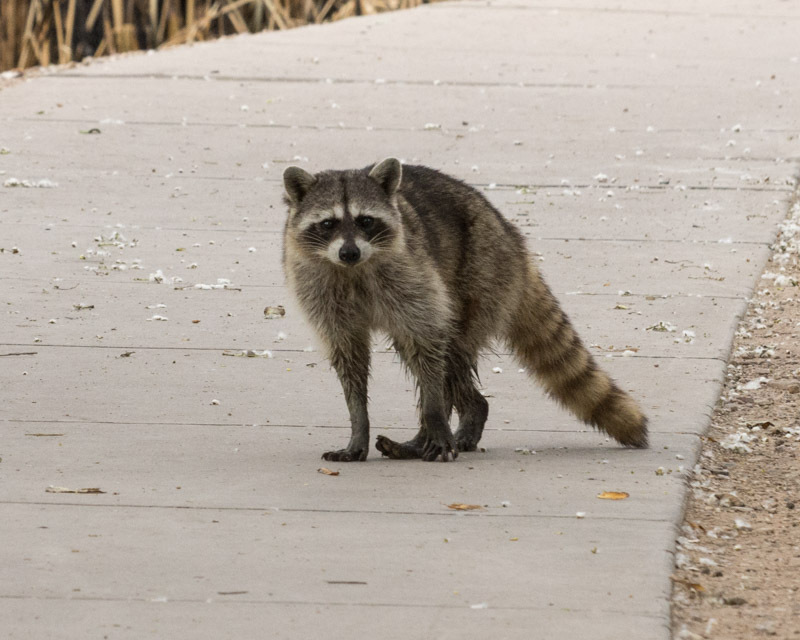 We think of raccoons as animals that require water and forests, but raccoons are also natives of our desert. 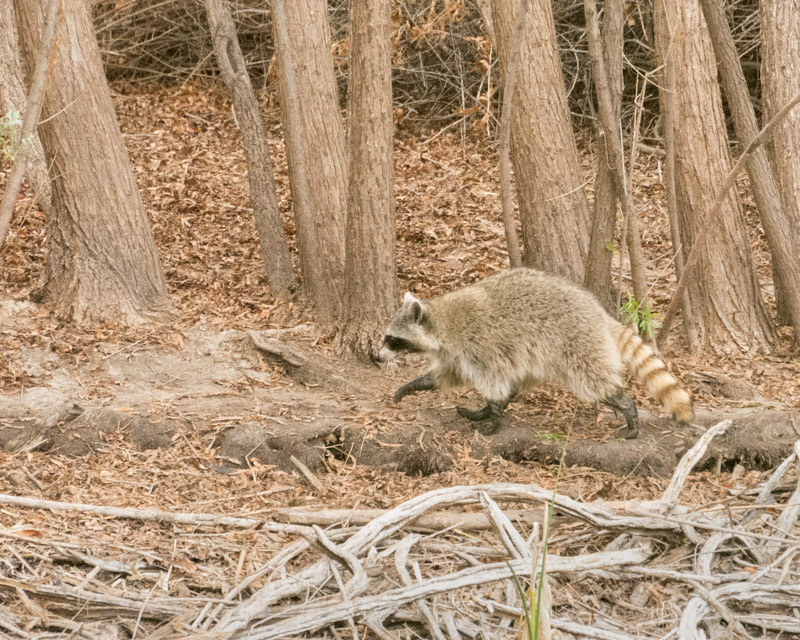 Raccoons prefer riparian habitat. 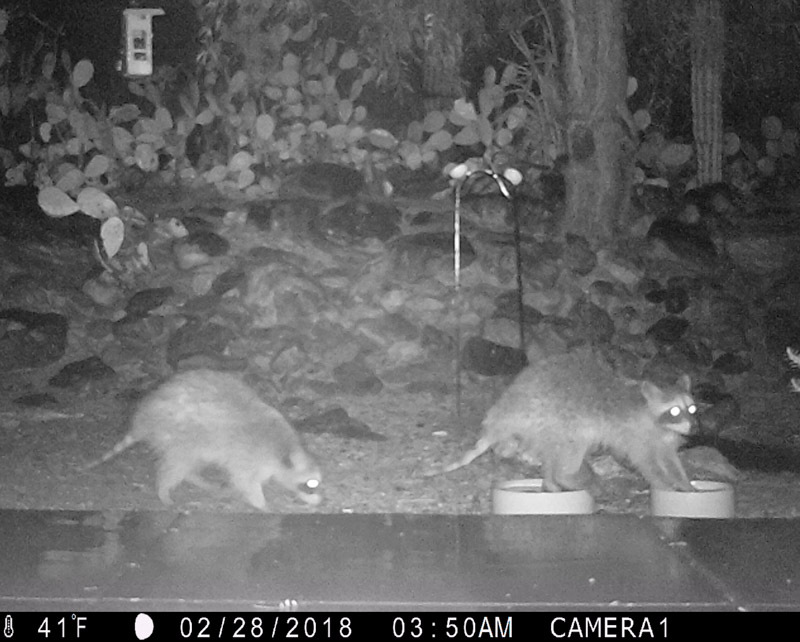 Over the years, my night camera has only ‘seen’ a raccoon on two different occasions. 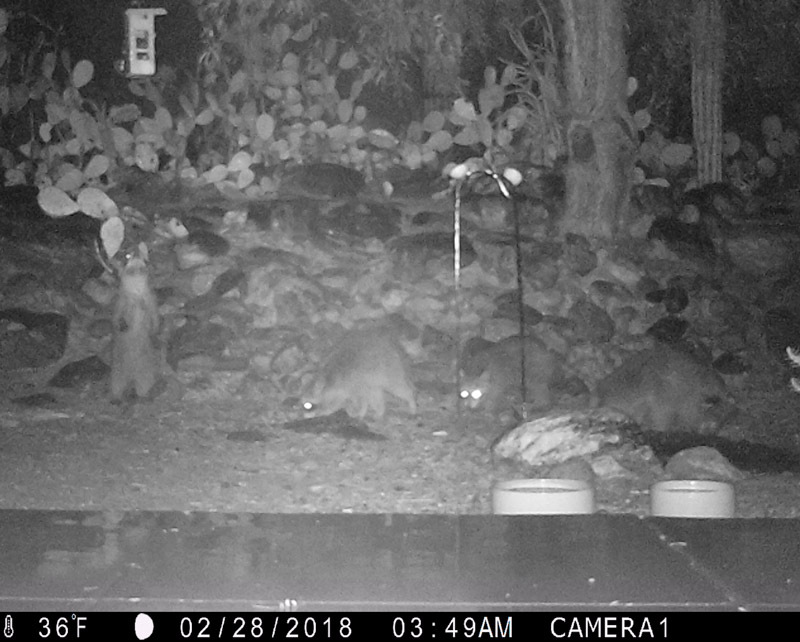 This year, I have seen a few more on the camera, and then on the last night of February, when we had that wonderful rain and cold, a family of four visited my back yard!!! Here the four raccoons check out the yard, with my Cardinal Sunflower Seed Feeder getting extra attention from the raccoon on the left. 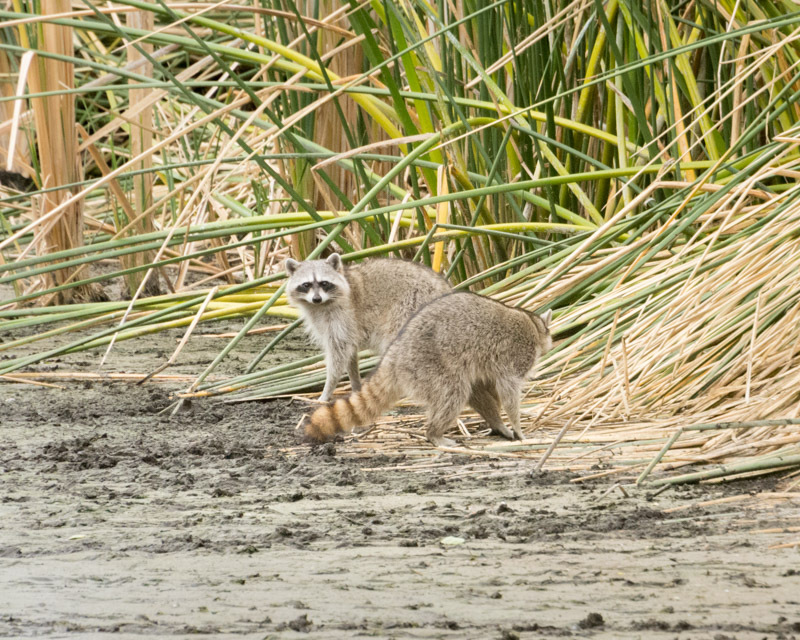 The raccoon on the right is hard to see as its eyes are hidden. 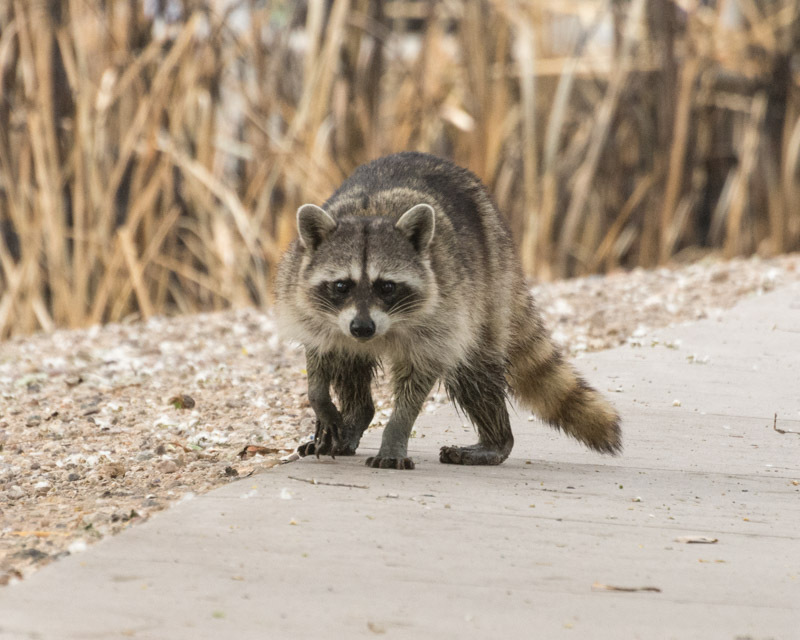 Raccoons have very sensitive, long and dexterous fingers. Their very sensitive touch helps them to find and identify food under water. I thought it was interesting that in the rain, rather than drinking the water like all other birds and animals do, they decided to wash their hands and feet. Sweetwater Wetlands is going through its annual cycle of drought and fire. Tucson Water draws down the water for several months to allow Tucson Fire to come in and burn a portion of the reeds at the beginning of March every year. This is done as part of an annual mosquito abatement program, as mosquito larva are able to live safely in the thick base of the reeds. Additionally, the burn allows greater sight lines for birders and visitors and helps to remove the plants that are taking up much of the water. A week after the burn Tucson Water begins sending more water back into the ponds. The lower water level brings more wildlife out as they hunt closer to the water’s edge. 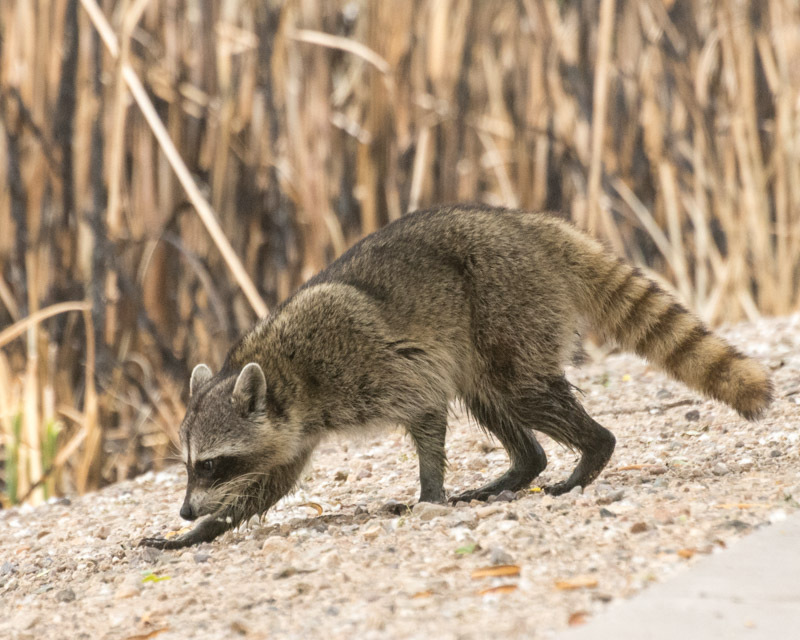 This week, I had some very nice long looks at the raccoon family that lives at Sweetwater. The raccoon below was walking on the fallen log rather than on the dirt on either side. His paws look black from the ashen soot in the water. While two other raccoons conversed across the pond. 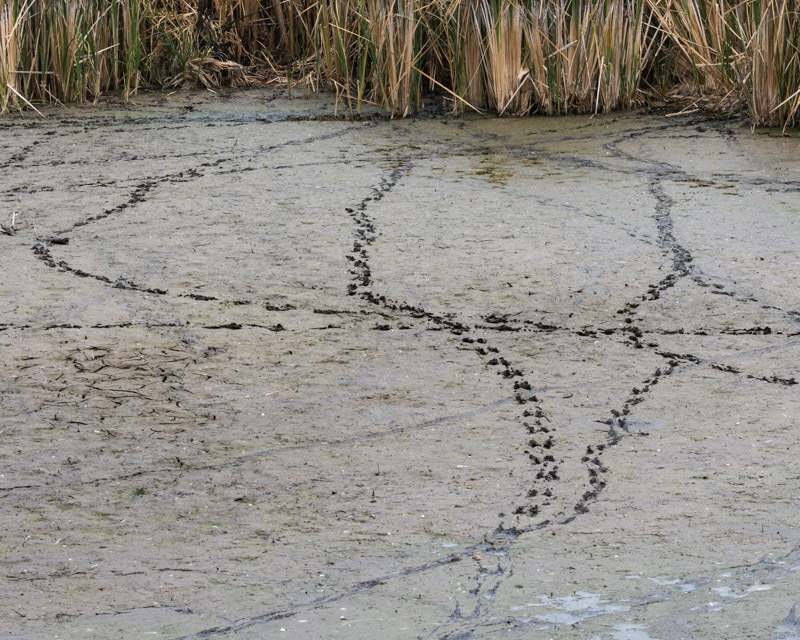 With the water levels low, raccoon tracks were very common and visible across the mud. 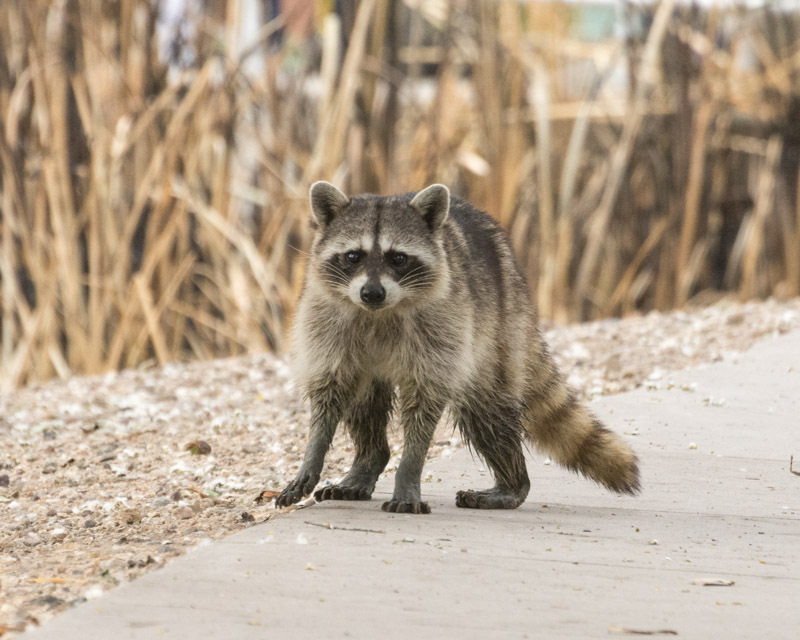 As I was walking to the ramada, one raccoon crossed my path, turning to check me out. It continued to the side of the path, and then hesitated while keeping a close eye on me. His head dipped low, both alert and focused as he paused. Picking his head up, he still kept one paw in the air while deciding what to do. Can I say he “pawsed” for a while? And then moved off the path, sniffing for something. And on towards the reeds. 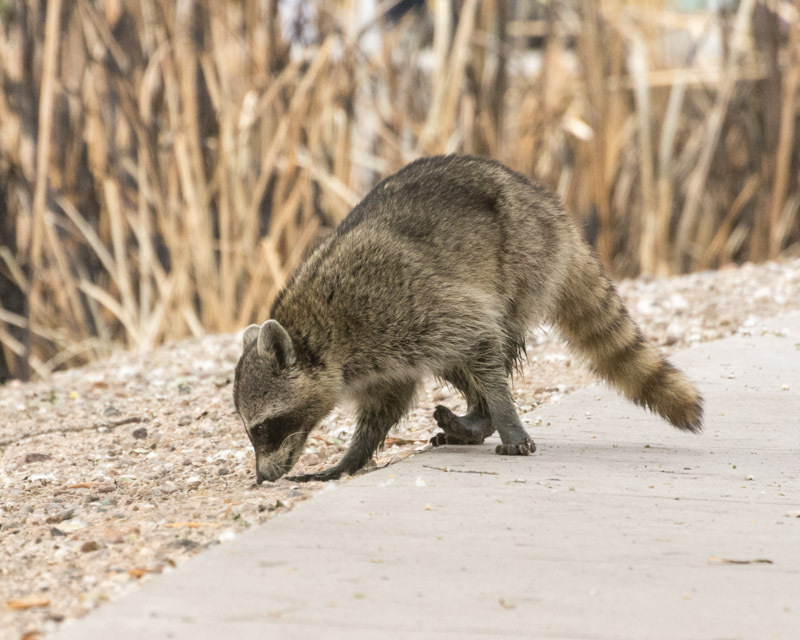 While raccoons are considered pests throughout much of their range, their scarcity in the desert makes this family seem like such a pleasant part of nature for me. I have photos available for purchase on an Etsy site- if you do not see one of your favorites on this site, just ask! Thanks.